Back again with a loaf I can't resist writing about because of the aromas the ingredients filled my house with while it was being prepared. 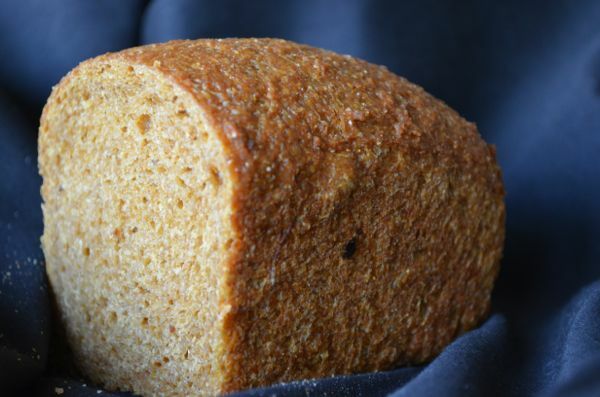 The corn meal used in this loaf was cooked in the morning along with part of the water, all of the molasses and all of the coconut oil. It was left to sit out and cool all day. The fragrance from the pot was intoxicating. The results were a loaf with a beautiful dark golden crust and a very soft crumb. 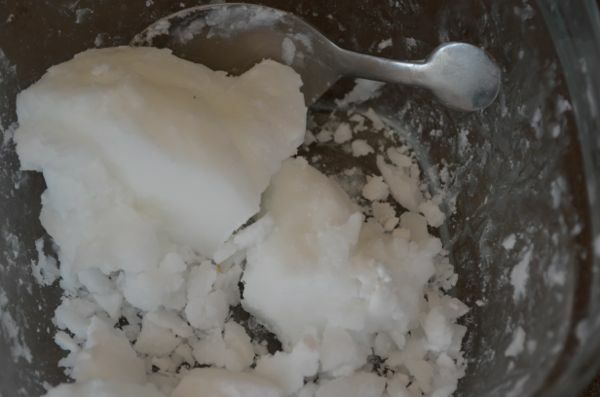 Coconut oil was solid at the onset but soon turned to liquid when added the the corn meal 'porridge'. The molasses added a sweetness, color and bouquet which turned the whole pot into something that someone might label 'ambrosia'. This surprised me because I am not a big fan of molasses...or at least haven't been but now I must re-think my former bias. The original recipe was from Laurel Robertson's 'The Laurel's Kitchen Bread Book'. I took great liberties by converting it to using a WY leaven and retarding the dough overnight. The book describes this dough as being a tough one to knead when the cooked corn meal is added. She kneads by hand. I don't so the mixing presented no problems and was added after the gluten was pretty well developed. 15% of the flour is used in the leaven. 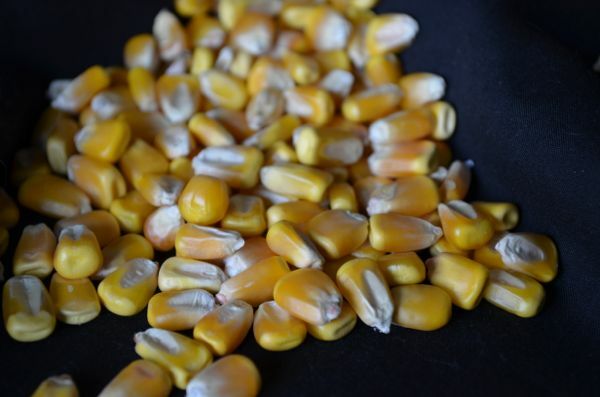 38% of the water is used in the corn meal 'porridge'. This is a loaf I will be baking again and again. out of the corn Janet! What an exciting idea. It really paid off too. So did you use your yeast water or SD of this conversion? In either event it was very well done. It's one of the best looking loaves we have seen for some time. Thanks for the compliment. You flatter me! Very nice. I haven't made Anadama in ages. Really good stuff! Oh the color, Janet! What a beautiful bread you baked! I have baked anadama from "Whole grain breads" book, but never Laurel's recipe. This has to be an excellent bread given the ingredients. WOW, you inspire me to bake Laurel's one. You always inspire me to look back into Laurel's book. She does have a lot of good loaves. I get carried away by all the loaves posted here and forget about the ones I have sitting on my book shelf. In my opinion Laurel really is the 'queen' of whole wheat breads since she has been at it for so long and uses only ww. I am glad her recipes convert so easily to using WY instead of IY. The first anadama bread I baked was from PR's book. Maybe it was you who inspired me to try it. For some reason I decided to see if Laurel had a recipe in her book for the same loaf and she did. I have baked both and this is my favorite due to how the corn meal is prepared. Just seems to be a much moister and fragrant loaf. beautiful loaf of golden bread! 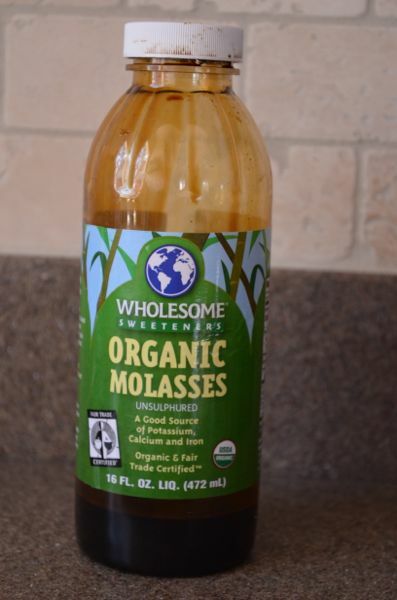 molasses is my favorite food.. i drizzled it on my toast and a dash of cayenne. If molasses is your favorite food the 'porridge' may never make it into the loaf :-) It really is tempting - almost screaming to be eaten right in the pan! What a great adaptation of the recipe. Sounds and looks like it must taste great. Thanks for your comment. If you do get around to baking this I would love to hear what you have to say about it. If you want more detailed steps on how to prepare I am happy to give them to you. I just shy away from too much typing all at once on a computer....still a bit shy when using these things so I tend to keep things short and simple.